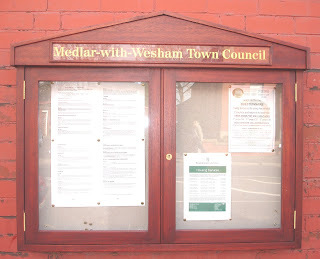 Funded jointly by the Mayor of Medlar-with-Wesham, Cllr David Ogden, Medlar-with-Wesham Town Council and Wesham Community Pride Trust, the Town now has a new notice board at the old fire station. The first meeting of the working group committed to the saving and restoration of Kirkham Baths took place in Kirkham on April 9th, chaired by Raymond Green, Chairman of the Friends of Kirkham Baths. Members of the working group include the Mayor of Kirkham Councillor Liz Oades, representing Kirkham Town Council and neighbouring parishes, Councillors Elaine Silverwood and Peter Hardy, Trust Lawyers Dickson Haslam , Croft Good and John Rowe both local architects, a builder, marketing consultants, and other experts. Their brief is to prepare a robust business plan for presentation to Fylde Borough Council, which will enable Kirkham Baths to be transferred from the ownership of Fylde Borough Council into a Trust for the community of Kirkham and surrounding parishes. Raymond Green said: 'We have got off to a flying start, with an incredible array of talent on the working group, all of whom are giving their time and effort for nothing to this major project. When the Group has completed its study and Business Plan this will be presented on behalf of the community to Fylde Borough Council, so that the Council can fulfil its promise to pass the facility over into safe hands. We will be looking to establish charitable status which will free the Baths from 90% of its rates burden and will render it eligible for grant aid. We will be looking to Fylde Borough Council for a capped subsidy and will exploring all avenues for revenue including donations grants and fund raising events. We intend to ensure the future of the Baths for Kirkham and surrounding district for decades to come. I would urge the public to support our efforts. The first fund raising appeal will be to 'buy a brick' and this will be launched soon, so that people can go on record as having supported this worthy cause. One of the best ways to support your local baths is to use them. Please, please swim, buy a season ticket if possible, and take your children swimming. This is a fantastic facility on our doorstep. Don't lose it!' The working group have adopted the logo KIRKHAM SPLASH (Kirkham and District Swimming Trust) and you will be seeing much of this in the near future. Arrangements have now been finalised between *WCPT , Wesham Town Council, Community Beat Manager PC Gary Cross and Fylde Borough Council to arrange for this years' Operation Cleansweep which will be held on Sunday 18th May, starting at 10.00am at Wesham Community Centre. It is anticipated that colleagues of PC Cross, *Wesham Community Pride Trust Members, and Wesham Town Councillors, will form part of the volunteer force. Any members of the public will be most welcome to join us to perform this 'Community Event' with the aim of tidying up our Town. Do you wish to identify a specific area requiring attention? If so and for further information please contact Cllr Alan Clayton via the feedback form at the bottom of this page. The Mayor, Cllr David Ogden, and Councillors of Medlar with Wesham Town Council would like to wish the Kirkham and Wesham FC every success at the final on May 11th.........Good Luck! KIRKHAM and Wesham FC are off to Wembley following their crucial victory against Needham Market. The final score in the FA Vase semi final was Needham Market 0 - KWFC 1.Kirkham and Wesham will now face Lowestoft Town at Wembley on May 11. The Manager Mick Fuller commented "The FA Vase has been such an incredible journey and I would like to thank everybody associated with the club. 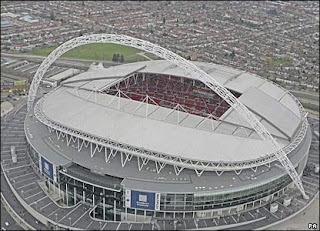 "It is a dream for every footballer to play at Wembley and, for amateurs, the opportunities are few and far between."